Welcome to the year 6 page. Here you will find updates of all the wonderful things the pupils will be getting up to in lessons as well as important information regarding future trips and much more. All the Morfa Bay photos are available for you to download. Download them as soon as you can as they are only going to be live for a month. Please try to download the files rather than view them on Dropbox as traffic will we high on the links. Diolch! This week year 6 will be learning all about The Water Cycle. They have found the journey of a water droplet fascinating so far. 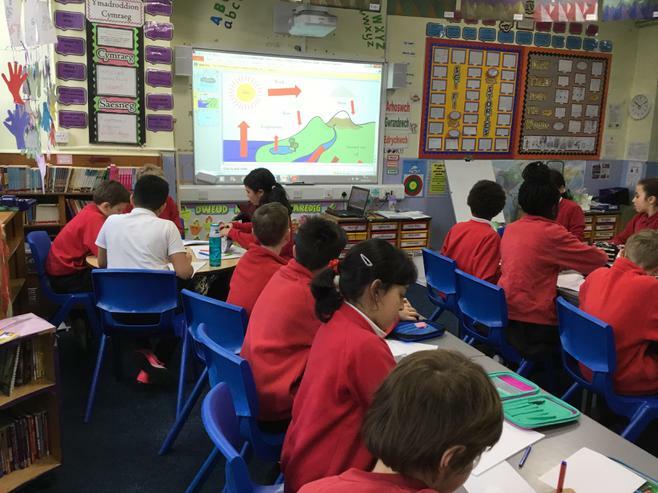 Later on in the week they will be writing a creative story from the point of view of a water droplet - their challenge is to incorporate all the new scientific vocabulary they have learnt into their story. Wow! We finally got to watch the pupils incredible NHS videos this afternoon and to say they were awesome is truly an understatement. 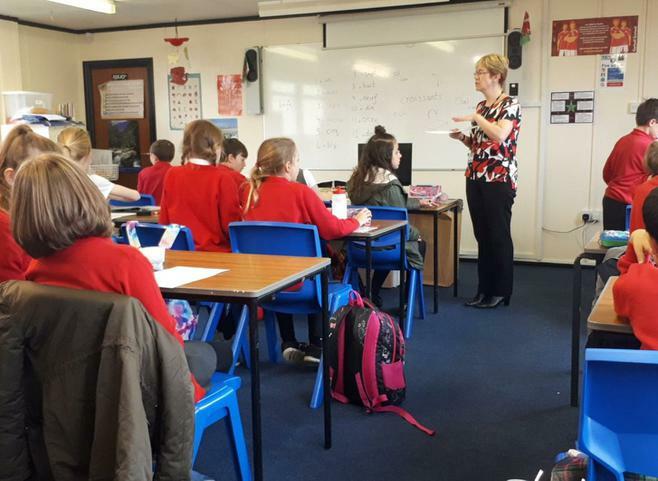 All pupils were able to produce, edit, write and deliver a video that would be good enough to be aired on the News. Mrs Miles will put links up to the videos soon as I’m sure you will be just as floored as us. This week year 6 had to tackle a super virus that was affecting the local population. They were put into different groups that represented different hospitals around the local area. In their groups they had to research what was causing the outbreak and how to prevent it. They also had to find facts and figures as to how the virus was affecting people and they produced a graph to show their data. Their chief Nursing Officer then made a video tutorial to prevent the virus from spreading. They then made scripts and were filmed (with a green screen background) so that they could eventually create a 'News Style' movie. 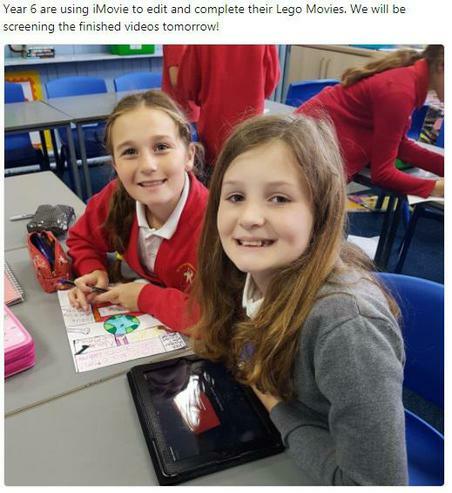 On Friday, year 6 finally had time to put all their green screen videos together by layering different 'News Style' green screens over each other in the app 'Do Ink'. Sounds complicated and it certainly was - our year 6 had no trouble with this though. The final results are out of this world! 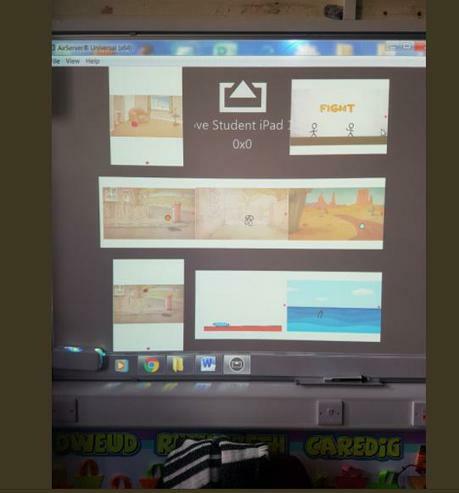 Next term year 6 are going to put all of their videos together. Wow! 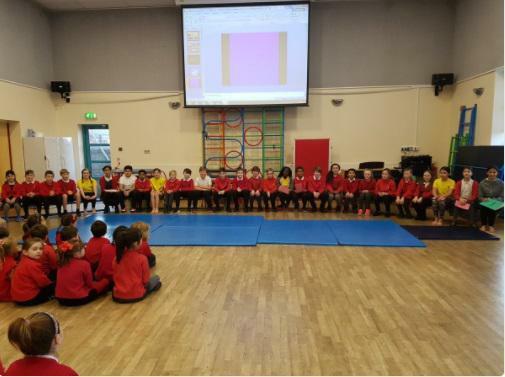 Year 6H rocked their class assembly today. They all spoke fantastically well and remembered all their lines. What an incredible amount of work they have done so far. In circle time today, year 6 have been discussing self-esteem. Year 6 have braved the cold this week to practice their defensive Netball skills. 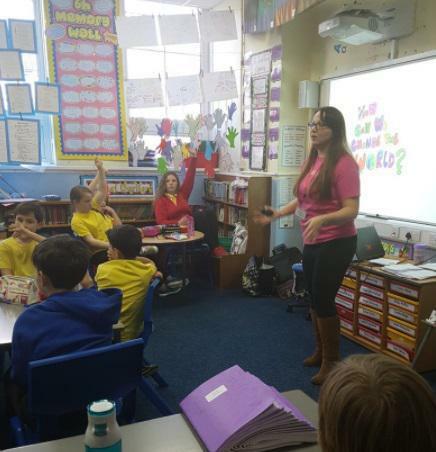 Just Enough UK came to talk to the year 6 children all about Modern Slavery today. Year 6 learnt all about Computer Memory in their ICT lesson today. They now know what CPU and RAM stands for and the important part they play in helping computers work well. They also found out about Hertz and Bytes and how they have improved over the years. The next part of the lesson involved the pupils going on a QR Hunt around the school. They had clues that would help them find a QR code and question around the school. They had 16 Games consoles to find and 16 questions to answer. All pupils worked super in their groups to find all the games consoles. 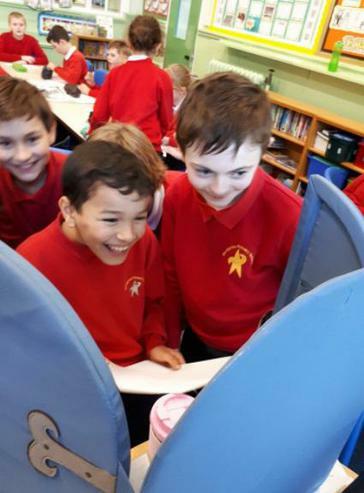 In the afternoon, year 6 used everything that they had learnt about games consoles and computers in the morning session to invent their own futuristic games console. They had previously compared the specifications of the 16 games consoles they had collected and were able to think about what features a futuristic games console would have. Virtual reality headsets, contact lenses and body armour were the main trend. With CPU's of 20 Petahertz and RAM of 10 Petabytes helping to keep the consoles working super fast. They also had to take security risks into consideration as well as special features, how games were stored, multiplayers etc. Year 6 are absolutely over the moon that their Sketch Books have finally arrived. 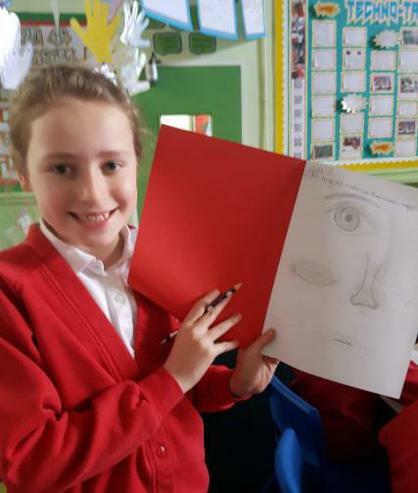 Their first sketching challenge was to draw facial features in a variety of medias. They used magazines and print outs of facial features as inspiration. 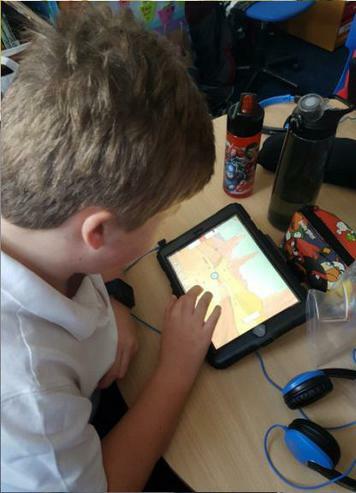 Year 6 learnt how to make their very own hand-drawn animation by using the Flipaclip app. It was the first time they had used it and they all did a fantastic job animating a ball to move fluidly across the screen. Some even managed to make it bounce around. Very impressive! 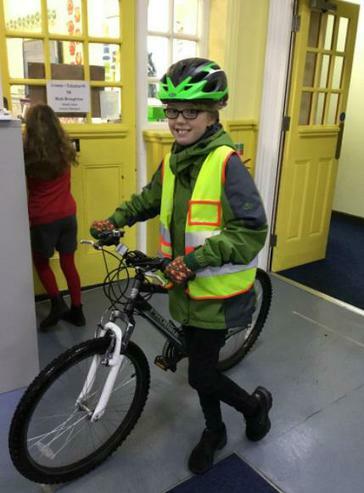 Year 6 have started their cycling proficiency and are learning how to stay safe on the roads. Year 6 have watched part of a short film clip and are planning for their story endings. The only problem is that they aren’t allowed to use words. What a great challenge! 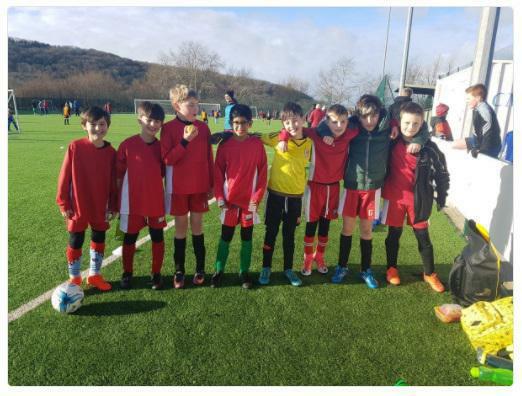 The year 6 Boy's Football team are out at 'House of Sport' for a Football Tournament today. Pob Lwc Bachgen! Year 6 are finding out about different Scientists through a Walk and Talk activity. 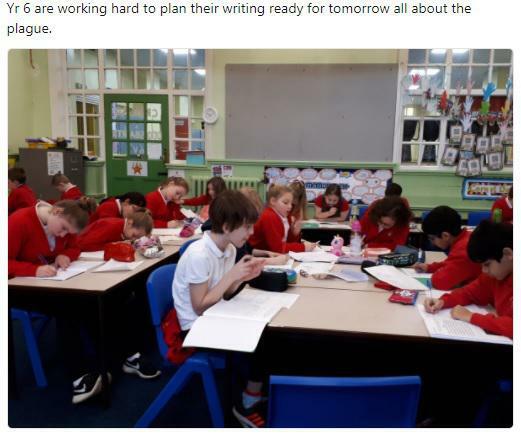 They have also been working hard to plan their plague-based writing. Year 6 are lucky enough to have two transport safety officers in today to talk to them about the importance of rail safety. They have been shown some eye opening videos of people not following the law. In groups the pupils highlighted the features of a poem. 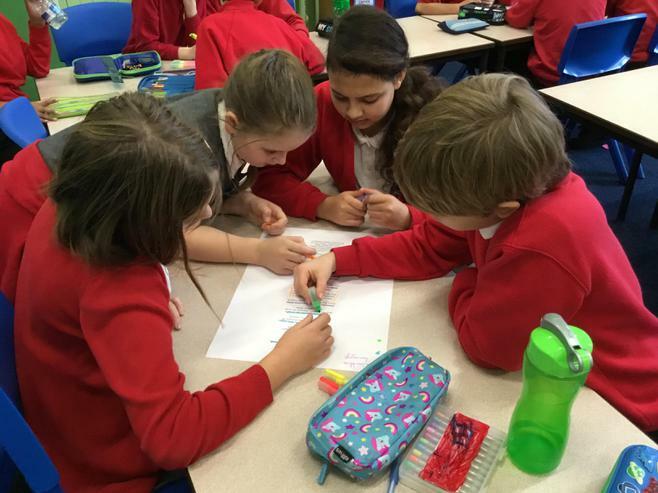 They have then worked together to create their own poem. We cannot wait to hear the final poems. Year 6 finished their 3D Mythological Creatures. We are hoping to choose the winner of our competition soon. 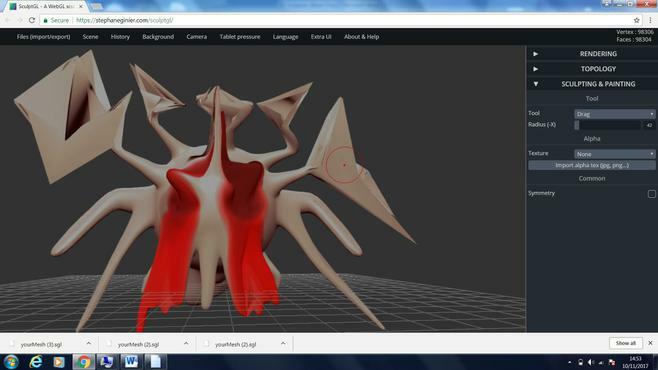 The winner will have their 3D creature printed by a 3D printer into an actual model. Year 6 have begun to learn about different styles of poetry today. The main 6 styles they found were Haiku, Limerick, Shape, Acrostic, Tanka and Narrative. They each had to research a style with their groups. They then presented their findings to the class. This will help them choose what style to write their Gladiator poems in later this week. After all their hard work finishing their flow maps yesterday, year 6 are finally ready to write their Gladiator Diaries. The standard of writing is incredible. Mrs Miles cannot wait to put their work on display. 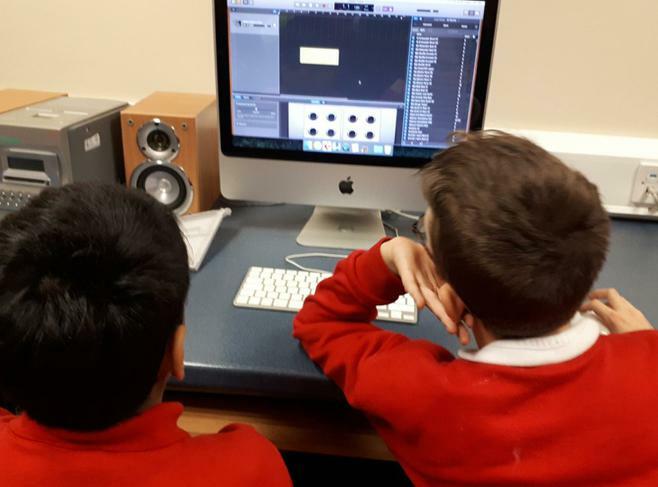 This week year 6 got to make their own ringtones using GarageBand. The other class were learning French numbers. Following on from yesterday’s lesson, year 6 listened to 3 sound clips; training area, waiting area and the fight. When listening to the clips they had to imagine what they could see, smell and feel based on what they they could hear. They then developed the best sentences they could. This week year 6 will be doing a variety of different activities in the lead up to writing their own Gladiator Diaries. Today the pupils watched 3 clips; gladiators training, gladiators waiting and going in to the coliseum and then the Gladiators fighting. They took notes on what they saw. 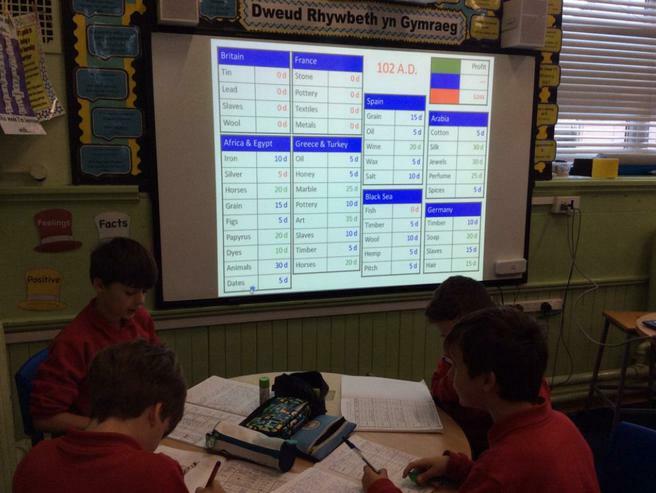 Year 6 were treated to Mr Volk's favourite lesson today, The Ancient Roman Stock Market. 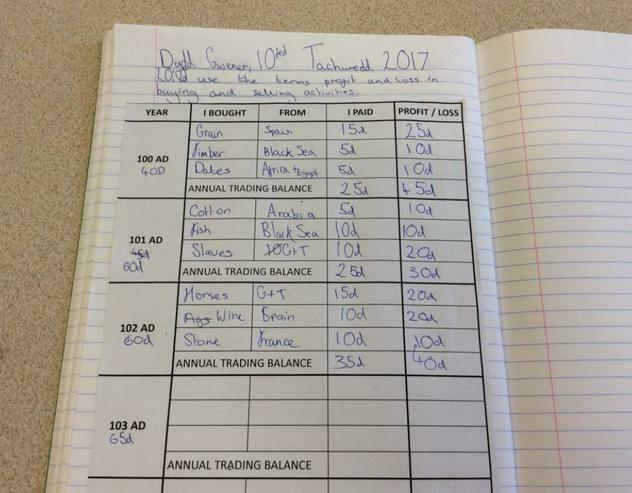 Pupils had to dabble with the stock market and forge trading links throughout Europe in order to survive. Living in Ancient Rome certainly is not easy especially when you have families to feed. The pupils problem solved to find the best way to make the most profit and not be left out of pocket by the end of the year. If they dabbled correctly they could be rewarded with a huge turnover the following year. Year 6 created their own 3D creatures in the style of mythological creatures in IT today. They used tools to carve, drag, inflate and paint their sculptures. 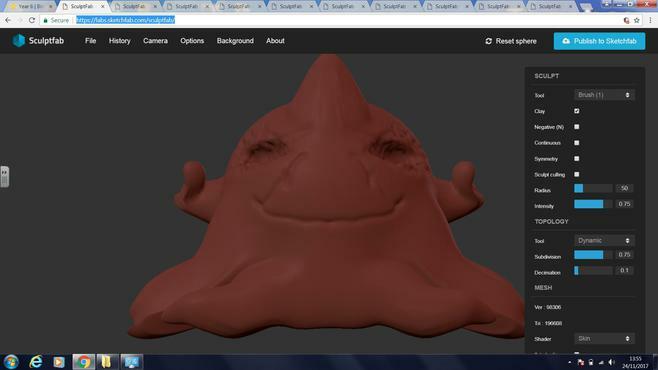 If only we had a 3D printer to print out our monsters. 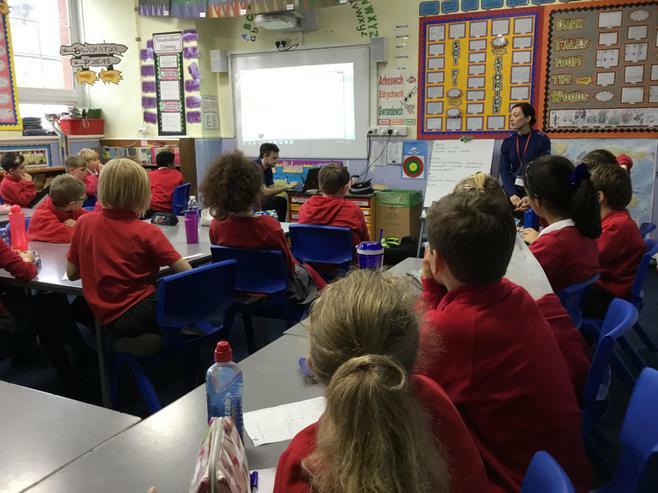 All pupils blew the teachers away with their understanding of area and perimeter today. They were then challenged with the more difficult task of finding the area of compound shapes. Year 6 have been welcomed back with their new topic - Gods and Gladiators. They researched then shared ideas about Roman Lives. This information will help them write a non-chronological report later on this week. New term, new topic!! We have had so much fun on our Techno-Tastic journey, but sadly it has come to an end. Fear not our new topic Gods and Gladiators will be just as incredible and exciting. If you would like to find out about the Romans and their lives before next term you are welcome to. You will be amazed at how many Gods and Goddesses they had and the different roles they played as well as how gory the Gladiatorial battles were. Mrs Miles loves reading the Percy Jackson books and they are definitely worth a read to help you through this topic. Have a lovely half term! Today, year 6 have been learning all about Malala Yousafzai and her fight for her right to education. The pupils could not believe how traumatic her life had been. We watched some videos of her speaking passionately to members of the United Nations about a variety of topics. 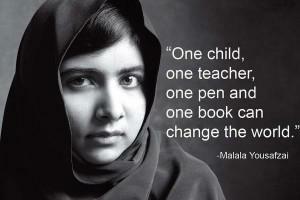 Hopefully her story can inspire us all not to take education and life for granted. Year 6's challenge was to build a Mars Rover style robot that will be able to send data back to Earth about that planet. They have worked so well together as a team to create their robots. They are now in the process of using code to programme their robots to collect 'unidentified' objects. 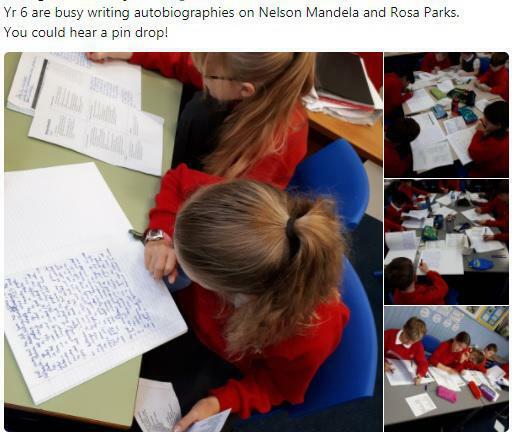 As part of Black History Month, year 6 have been learning about the lives of Nelson Mandela and Rosa Parks. They have then researched their lives further and generated questions that they would like to find out about them. They will then use the iPads to find answers to their questions before using their finding to write a short biography on their chosen person. Year 6 finished coding their space games yesterday and are now looking at creating a Mars Rover type robot using their Lego Wedo 2 kits. 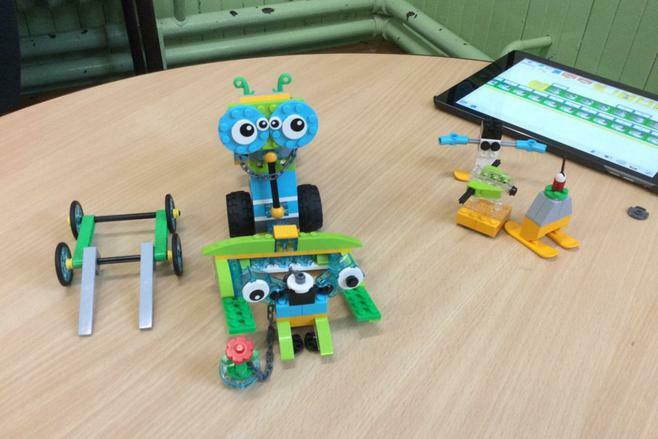 We are so lucky to have these kits and the pupils are thoroughly enjoying coding their own working robots. After completing their space games last week, year 6's next project is to create a levelled adventure game. They will be learning to add variables, create an inventory, add extra players as well as enemies. The whole school will be going space mad for STEM Week. Promoted by the British Science Association, the annual British Science Week aims to celebrate all sciences and their importance in our everyday lives. It provides an opportunity for people of all ages across the UK to take part in science, engineering and technology events and activities. After plotting ideas and creating a flow map, year 6 have now begun to write letters to their loved one. They are writing from the perspective of either the man at home or the woman fighting in the war. 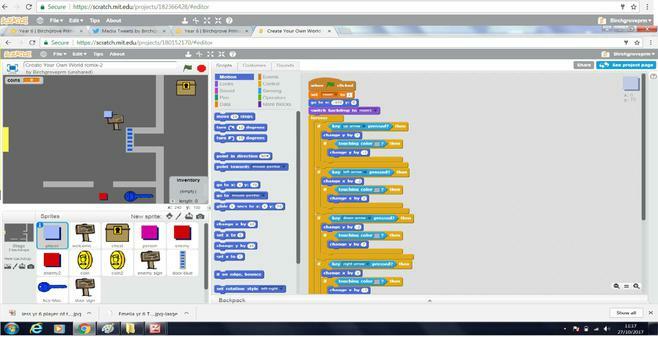 Mrs Miles has been super impressed with how well year 6 have coped with programming and coding through scratch. This week the pupils have been learning to code a Techno-Tastic inspired space game. We have been really impressed by how amazing year 6's fraction knowledge has been so far. 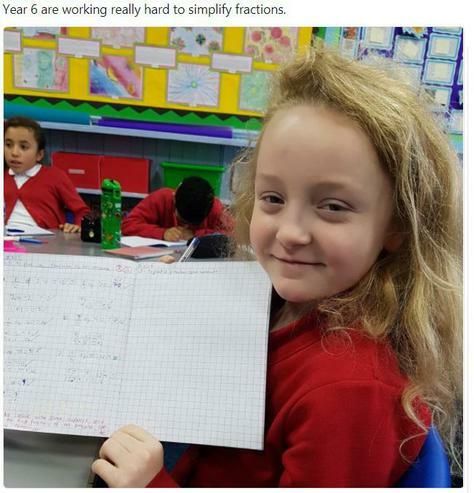 This week we gave them the challenge of simplifying fractions. 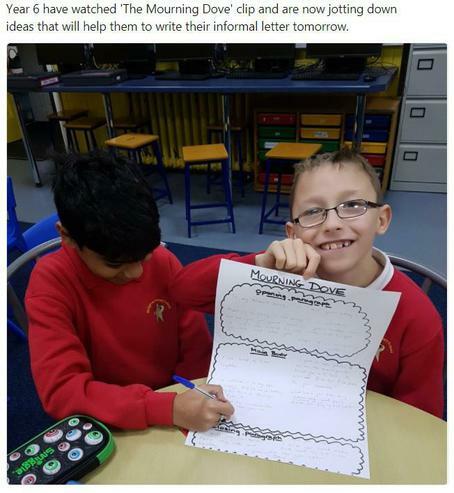 This week year 6 will be focussing on writing an emotive letter to a loved one. They will have a visual stimulus (The Mourning Dove) to help them get into character to write from the perspective of either the man at home or the woman at war. If you would like to see the video click on the following link: https://www.literacyshed.com/mourning-dove.html. Be warned though it is a tear jerker. 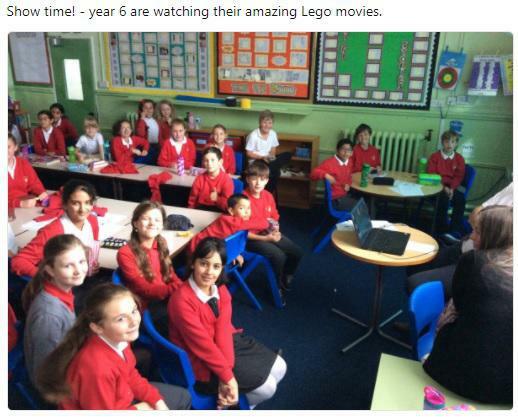 After all their hard work this week it is now time for year 6 to watch all the Lego Movies. 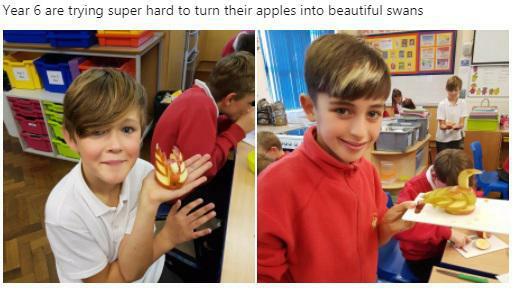 6H are trying to create beautiful swans out of their apples in Home Economics today. They were super careful to use their knives to score and cut into the apple to create the delicate swan shape. 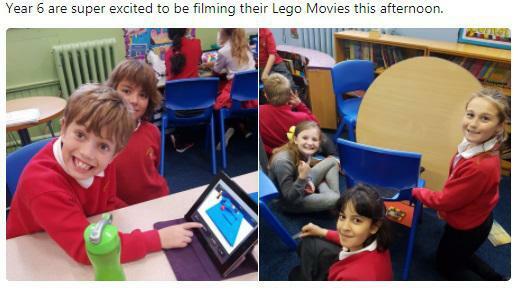 Year 6 are now using iMovie to edit their Lego Movies. They will be adding titles, credits and captions as well as layering sound. It's one of our favourite times of year in year 6 - creating Lego Movies. The pupils have had time to practice their stop frame animation skills by using iMotion and will now be putting them to the test to create their Lego Movies. Patience and creativity is the name of the game. The slower the movements the better the animation. We all cannot wait to watch them on Friday. 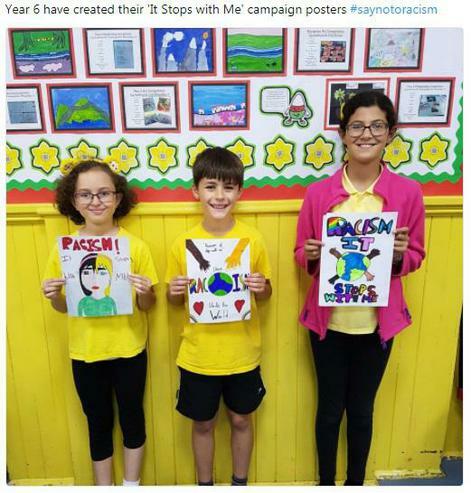 Year 6 have create and designed their own 'Say No to Racism' posters. 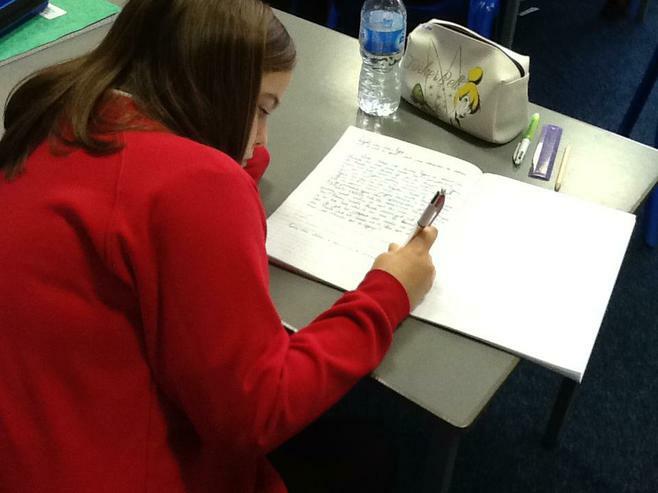 Year 6 are writing the 'resolution' and 'ending' parts of their Sci Fi stories today. 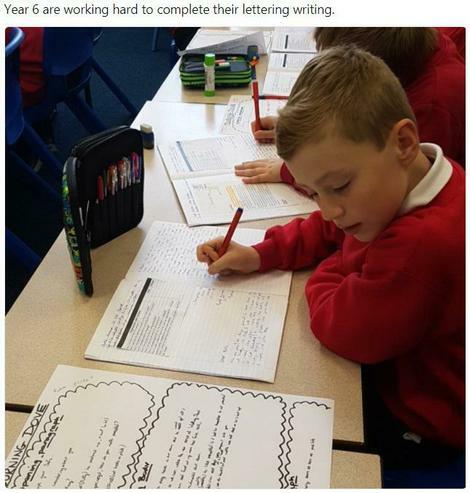 They have worked so hard and improved so much throughout this writing task. We cannot wait to read the finished stories and Mrs Miles cannot wait to display them. 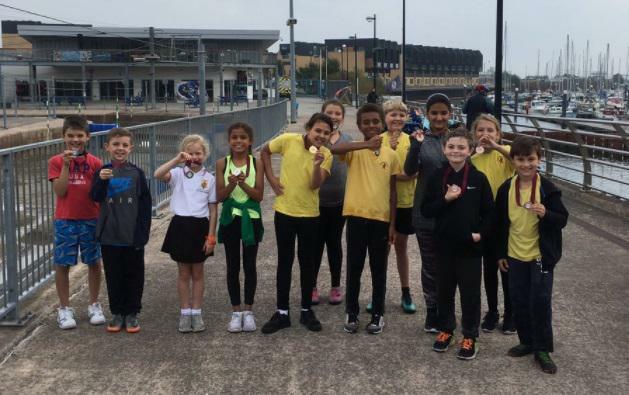 Year 6 had such an awesome time at the White Water Rafting Centre down Cardiff Bay today. They had an opportunity to try out Kayaking, Canoeing and Sit Boating. 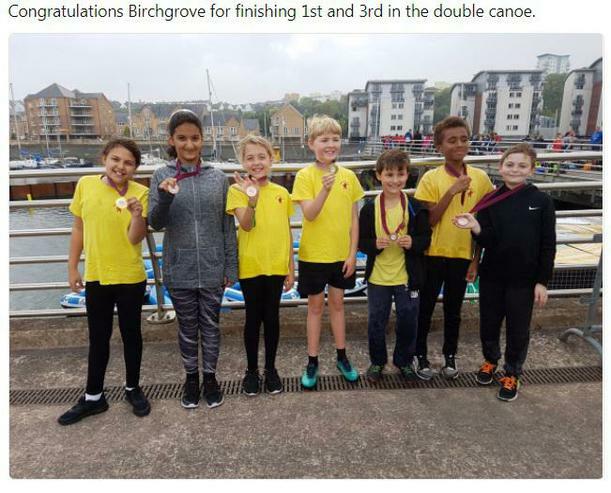 Both year 6 double canoe teams made it into the final and came 1st and 3rd. Da iawn pawb! 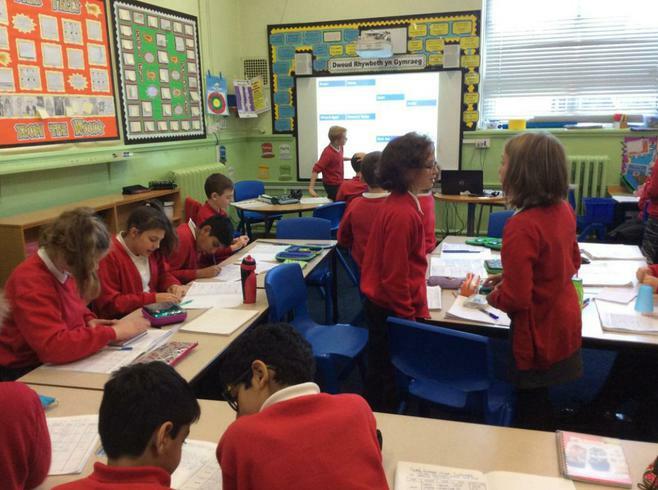 This week year 6 have been planning their own science fiction stories. We have been looking in detail at typical opening paragraphs as well as concentrating on building up suspense using varied sentence structures. We will be continuing with this next week. 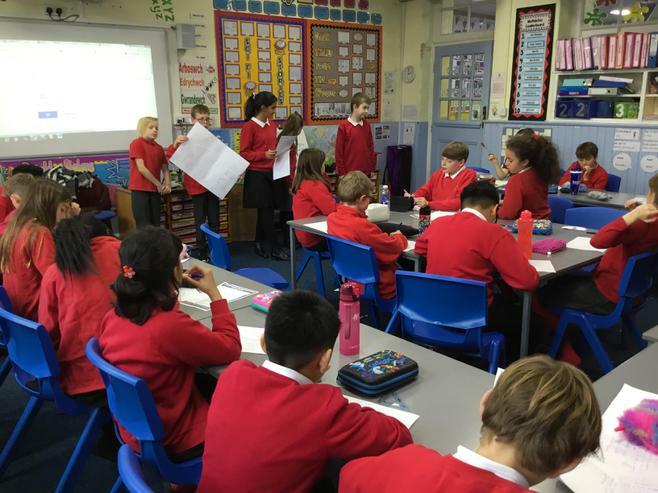 Year 6 have begun to plan, develop and create their adverts this week for their very own futuristic product. Some fabulous products are being thought up such as; age jumper, 3D Printing and wish pills. They will then be producing, directing and starring in their very own adverts tomorrow. This week, year 6 will be focussing on advertising as we build up to next week's sessions on making our own advert. We will be comparing some popular TV adverts, slogans and logos and we will also be learning about persuasive language. 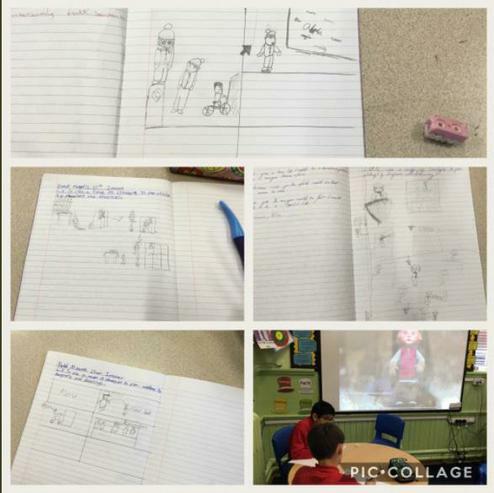 We will have a reading comprehension exercise where we will be comparing two adverts for the same product, and we will be looking at the key features of a script for an advert before working in groups to write our own. 6H have IT and Home Economics in WHS today. 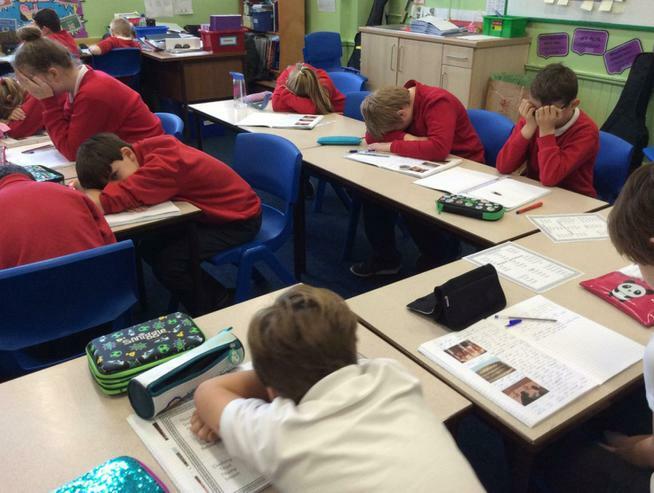 Year 6 have started their new topic on the book by the Welsh author Daniel Morden called 'Dark Tales From The Woods'. They have read 'The Squirrel and the Fox' and 'The Leaves that Hung but Never Grew.' The pupils could not believe that the stories were set in Wales and how gorey they are.